While I'm no vegetarian and I'm still a meat eater, I can't deny that I still look forward to days when I skip meat. The reason is because there are times I'm just not in the mood for meat and I want to focus on vegetables. So here's some alternatives to meat. Tofu is definitely one meat alternative. 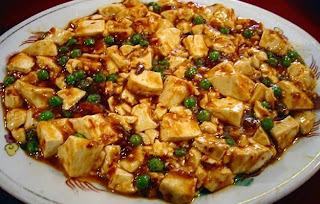 Although I've usually eaten tofu with meat but I would sometimes prefer it meatless. Some vegetable dishes will taste better without meat. The other is having gluten instead of meat. I don't want to call it "fake meat" anymore due to all the food scandals as of recent. 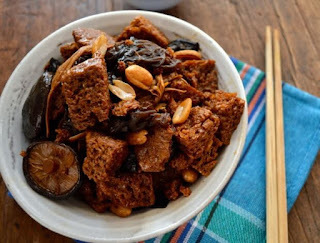 Instead, it can be called as vegeterian meat or just gluten. It's a chewy treat though tofu is more nutritious so I want to mix them both.